​This biting irreverent satirical novel looks at race in a black city, Dickens, that disappears from the map. 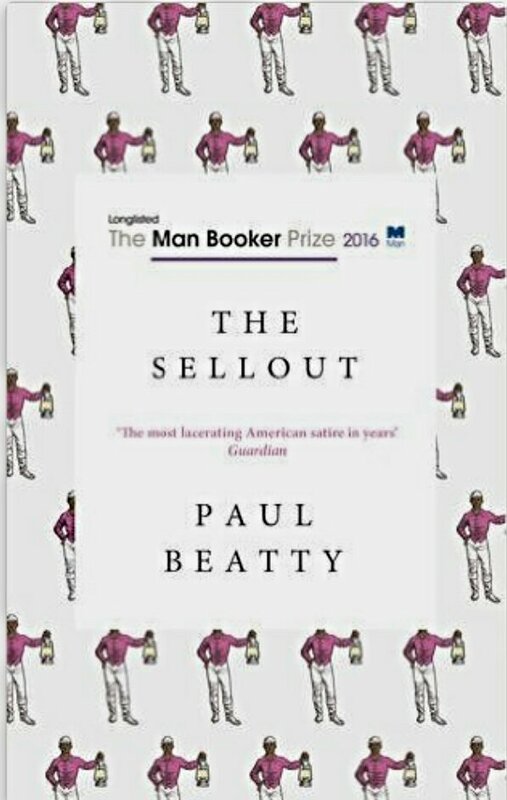 The narrator of The Sellout has been raised in Dickens by a rather eccentric father, who subjects him to psychological research and exposes him to racially dominated psychological test and theories from a young age. When his father is shot in his junior year of college he moves back into their urban farm and grows exceptional crops, however when Dickens, no longer exists on a map a chain of events lead to bringing segregation back to the small locality with pure intentions and surprising results. I found this book incredibly hard to read as I am not very familiar with the popular culture it refers to and this probably is the first satirical novel I have read. However, after I got past the Prologue and the first three chapters I became acclimated to the writing and dry sense of humour. The characters gripped me and their motivations were what kept me reading this book until the end. What emerges for me from this, no doubt, highbrow read is how complex the issue of race and identity has always been and how little exposed we are, even if we consider ourselves well-read, to the vast issues and historical realities concerning the issue of race to date. As I ploughed through this book with an equal sense of confusion and curiosity I cannot deny it made me think and challenge my limited knowledge and reluctance to address race on a day to day basis. This will be the most challenging and intellectual book I will read this year, but I do believe it’s one of the few times I will actually recommend a Man Booker Prize Winner. I hope you enjoy it, I found the start a little hard to get into but once it gets going it’s quite a read. I’m not sure I’ve made it all the way thru more than one or two Booker Prize winners. I do have this on on my list to read already though. I’ll give it a shot at some point. Good, honest, review. Thank you, I think I liked Arundati Roy’s book years ago when it won by I usually don’t let prize winners influence my reading list. This one really is an exception. It didn’t make it any easier to relate to.